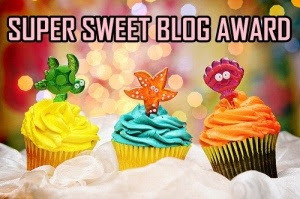 I was nominated for the Super Sweet Blog award by the lovely Karen, who blogs at woman wife and mum, just after Christmas. It is always lovely to know that fellow bloggers are taking the time to stop by to read my blog, I am very happy to have received this sweet award. Thank the blogger (s) who gave you the award and link back to their blog. Nominate other bloggers for the award and let them know. For me is has to be a nice slice of cake and a cup of tea. oooh this is a hard one i do love a Vanilla cake with a chocolate topping. My favourite sweet treat is a nice bar of Cadbury's dairy milk. When do you crave sweet things most? I always crave something sweet after my dinner. Labels: award, blog, super, sweet.